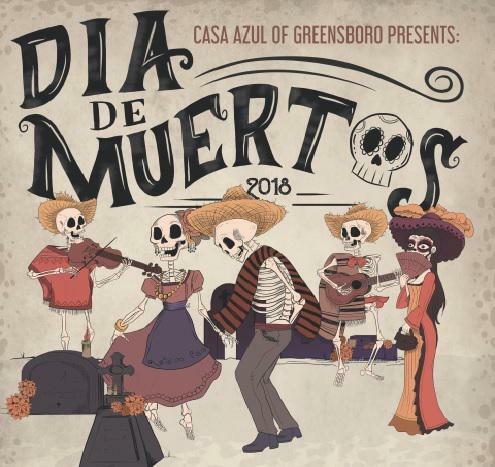 A graphic for Casa Azul of Greensboro's event, Dia De Muertos. Many Americans spend a lifetime running away from their own mortality. Death is the so-called ‘great connecter,’ yet it is a topic taboo at the dinner table. But this avoidance is not universal. Claudia Femenias and Estela Ratlif join host Frank Stasio to talk about the Dia De Muertos exhibit, traditions, and celebration hosted by Casa Azul of Greensboro. In Mexico and throughout Latin America, there are strong cultural traditions around acknowledging and even celebrating death. A new exhibit at the Center for Visual Artists in Greensboro showcases the history and traditions of Dia De Muertos, a day of celebration on or around Nov. 2 in which people create altars with candles, food, photographs and flowers to invite deceased loved ones to return for a visit. Claudia Femenias and Estela Ratliff join host Frank Stasio to talk about the exhibit, traditions, and celebration hosted by Casa Azul of Greensboro. Femenias is president of the Casa Azul Board of Directors and a professor of Spanish at High Point University. Ratliff is a native of Mexico and program coordinator for Casa Azul. The exhibition runs from Friday, Nov. 2 to Friday, Nov. 16. A graphic for Abundance NC's upcoming Death Faire. Stasio is later joined by Tami Schwerin, a woman for whom the American cultural silence around death has become especially salient. Several years ago, Schwerin’s 20-year-old son Zafer died of a heroin overdose. She was overwhelmed with grief and realized that the only thing that would make it worse was not dealing with it head on. Host Frank Stasio is joined by Tami Schwerin, organizer of the first Death Faire, and the associate director of Abundance NC, Hannah Eck, to talk about this years event. 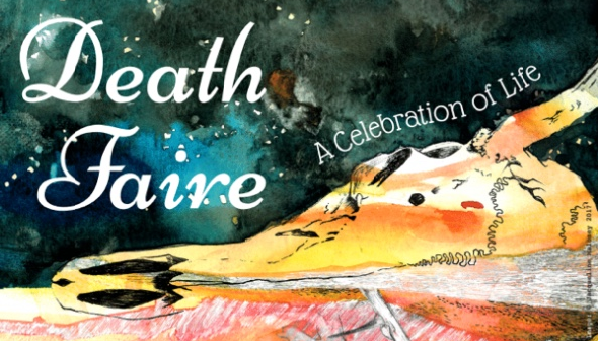 In 2016, Schwerin organized the first Death Faire, an event that breaks the silence around death through public celebration and conversation. Host Frank Stasio talks with Tami Schwerin about her story. She is joined by the associate director of Abundance NC, Hannah Eck, to discuss this year’s festival on Saturday, Nov. 3 in Pittsboro, which will feature first-hand stories about near-death experiences.